Historians and archaeologists describe historical events and issues from the perspectives of people living at the time to avoid evaluating the past in terms of today’s norms and values. I can describe the events and issues (Peloponnesian War) of this civilization (ancient Greece) from the perspective of the people who lived in it. Read the passages below. One discusses information about Athens after the Persian war and the other discusses information about Sparta after the Persian War. Athens is located in south-central Greece, on the peninsula landmass called Attica. It sits on a large plain surrounded by mountains, and lies about four miles from the Aegean Sea. Because of Athens' proximity to the sea, it developed strong trade relationships with other city-states, allowing it to become powerful and prosperous. During the fifth century B.C.E., Athens secured its powerful trade status by constructing the Long Walls. These two parallel walls stretched for four miles, connecting Athens with its port city Piraeus, and thus ensuring the safe transport of trade goods inland from the coast. Another major Athenian economic asset was silver – obtained from the silver mines of Mt.Laurium – which helped finance the Athenians' social and military programs. By the early 500s B.C.E., Athens had become the most important Greek city-state, primarily for two reasons: its democratic form of government and its strong encouragement of the arts. Most free male Athenian citizens could vote and hold public office. Talented people from throughout Greece came to Athens to learn and study in various artistic fields. The best artists, architects, and writers came together in this unique, cosmopolitan city that became noted for its beauty and splendor. In the early fifth century B.C.E., invasions from the Persian Empire severely threatened Athens' independence and prosperity. After defeating the Persians in 479 B.C.E., Athens put together an alliance – called the Delian League – of numerous Greek city-states that would serve as a mutual defense pact against future Persian aggression. Over time, as Athens grew more powerful, it became the dominant member of the alliance. League members paid an annual tribute to Athens in exchange for Athenian protection. Eventually, Athens used these resources to create a naval empire in the Aegean Sea and to fight its major enemy during the latter part of the fifth century B.C.E. - Sparta. The city-state of Sparta was located in the southeastern part of the Greek region known as the Peloponnesus. The city sat on the northern tip of a plain between high mountain regions to the east and west, and about 25 miles from the sea. Sparta's location on a fertile and rain-nourished plain enabled it to develop a strong farming economy. Though based on fertile land, this farming economy was also a product of cheap forced labor. A large number of serfs called helots farmed the land and allowed the free Spartans to concentrate their efforts on other pursuits. Sparta rose as a powerful city-state on the basis of its strong and stable oligarchic government and its military lifestyle. All male citizens were required to perform full-time military service. This well-trained, full-time army enabled Sparta to be the dominant military power in southern Greece for several hundred years. 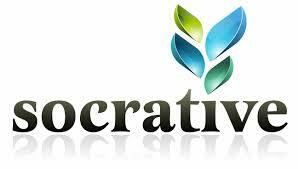 In addition, it helped ensure that the helots would not rebel against the Spartans. In contrast to Athenian society, the Spartans' lifestyle was rigid and anti-intellectual. Spartans scorned wealth, splendor, and the arts; even during the height of their prosperity, they continued to build only wooden houses, and erected very few public monuments. During the sixth century B.C.E., Sparta became the most prominent and powerful city on the Peloponnesus. Around 550 B.C.E., the Spartans became leaders of an alliance of Greek city-states that created a powerful, united force against all its enemies. 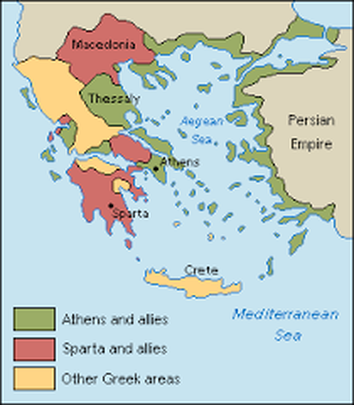 The alliance – called the Peloponnesian League – helped Athens defeat Persia during the Persian Wars (490-479 B.C.E.). However, Athens' power and prestige continued to rise throughout the fifth century B.C.E. Sparta began to fear the spread of Athenian democracy to other city-states, which in turn might encourage Sparta's own helot class to rebel against the Spartan government. Thus, the Peloponnesian League began to seek ways to curb Athenian influence. 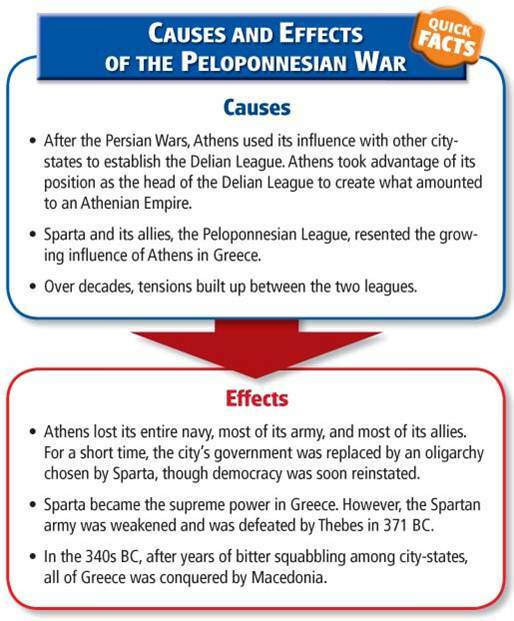 ​Click on the edcite image to complete a reading and assignment about the Delian League. It discusses the league in more detail and why many city-states disliked it. Use your notes for both wars to help you answer the 11 questions. Fill in any information you are missing in your notes as you go. Use the additional explanations to help you!